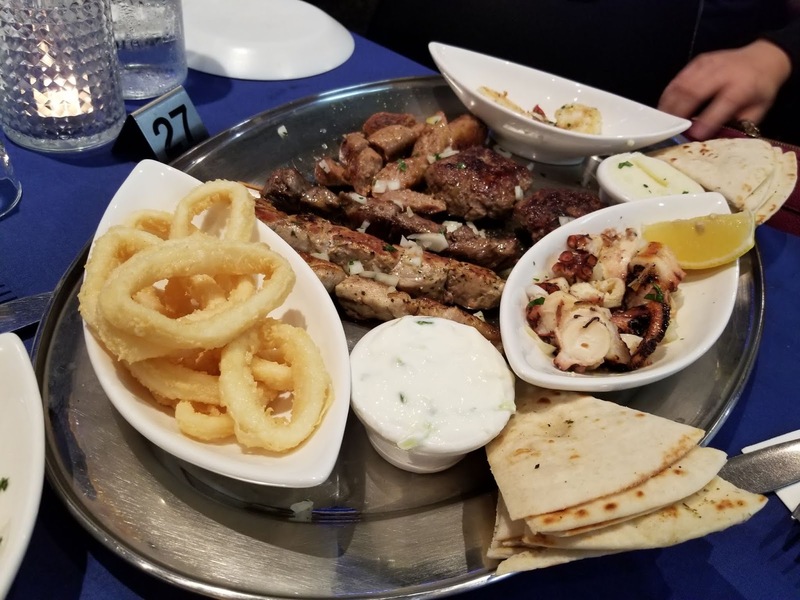 Some of my older readers will recall that I am a big fan of Greek food. Having been busy with multiple overseas trips and interstate trips, it really took some recovery before I could get back into the swing of daily routine, to be then smashed by an influx of work. Thankfully, last friday I finally caught a break and could get together with my two besties to indulge ourselves in Greek food. Enjoying a short walk from the city to Ouzeri in West End, it provided a nice opportunity for me to wind down after a busy week. 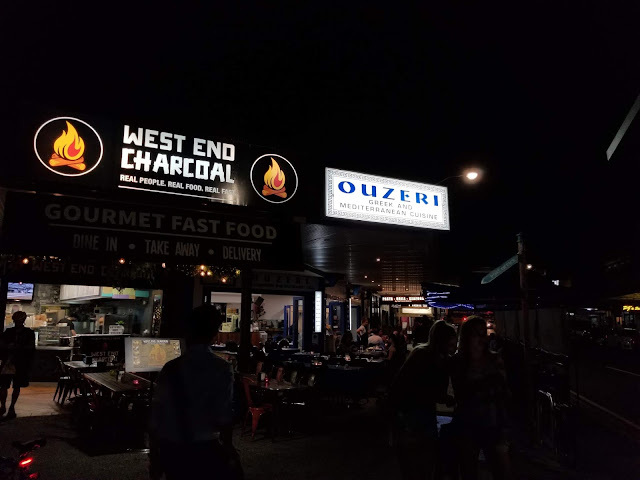 Having booked online, I was a little disappointed to be seated outside, but at least it was cool enough that we weren't bothered by the heat. 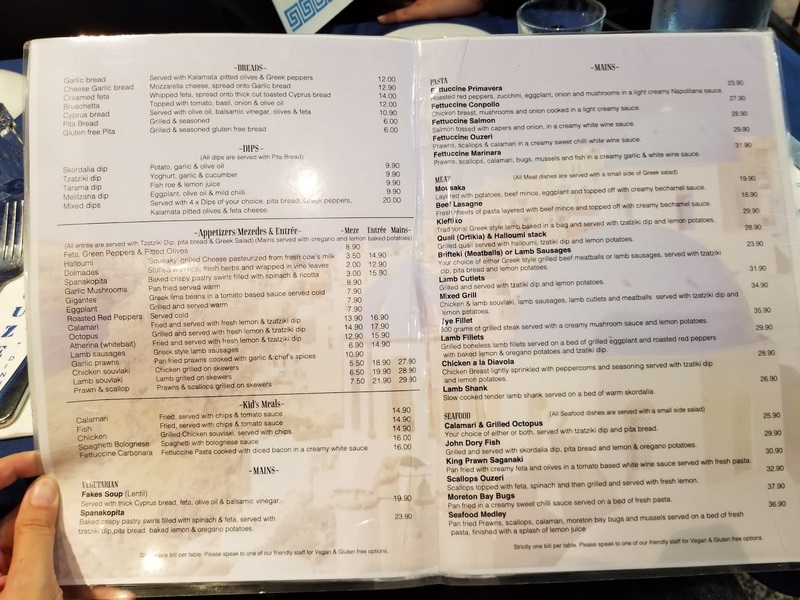 Taking a look at the menu, there was a very large variety of traditional Greek options including breads, dips, appetisers, mains and of course, their famous platters. 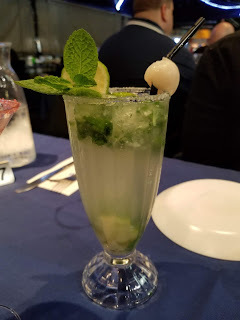 Kicking off our meals with drinks, I had a cosmo and Queen V had a lychee mojito. 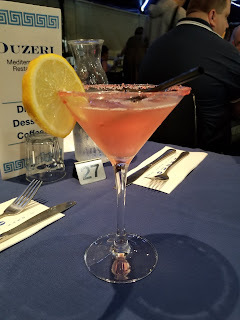 Both were sharp and tangy without excess sweetness, making for a refreshing start to the meal. 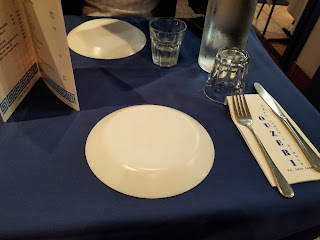 Our food came promptly and the spread was really quite impressive. 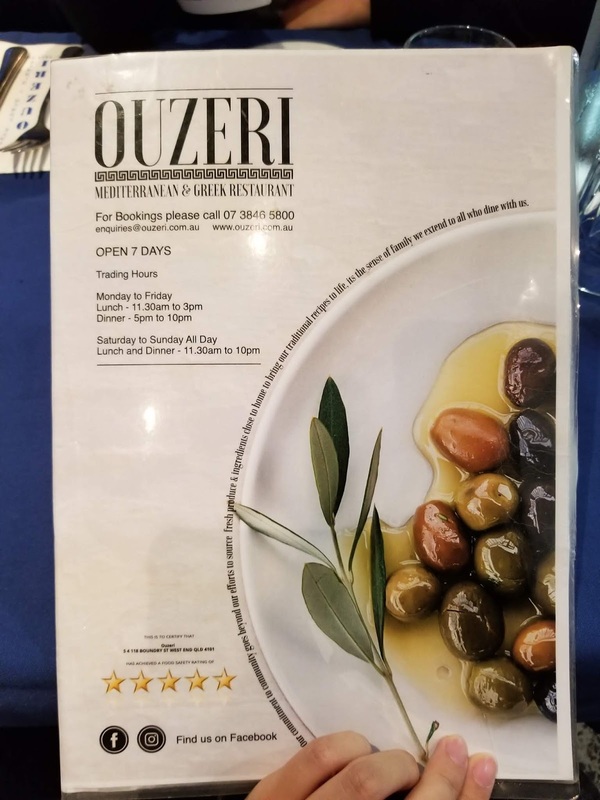 Between the three of us, we shared an Ouzeri Platter and some lamb kleftiko. 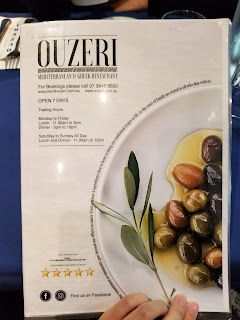 The Ouzeri Platter was very impressive. 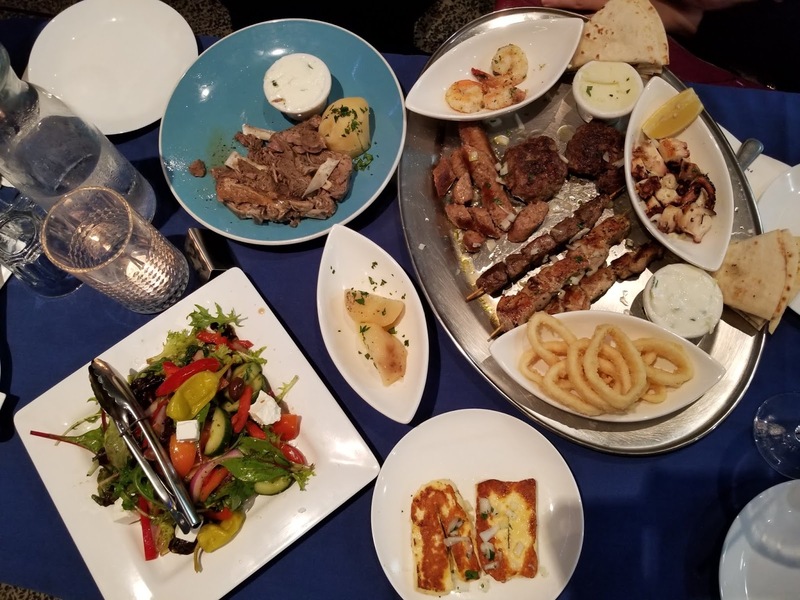 Consisting of dips, pita bread, haloumi, chicken, pork and lamb souvlaki, lemon potato, lamb sausages, meatballs, octopus, calamari, garlic prawns and Greek salad. 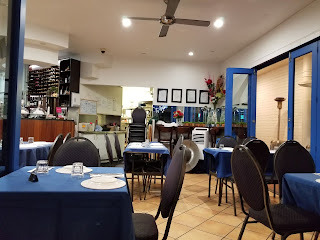 The souvlaki was wonderfully seasoned and deliciously caramelised. 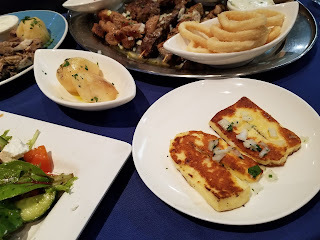 Lemon potato was nice and sour and is always one of my favourites, whilst the haloumi was also wonderfully fried without being burnt. The calamari was not chewy, but the battery wasn't particularly crunchy. 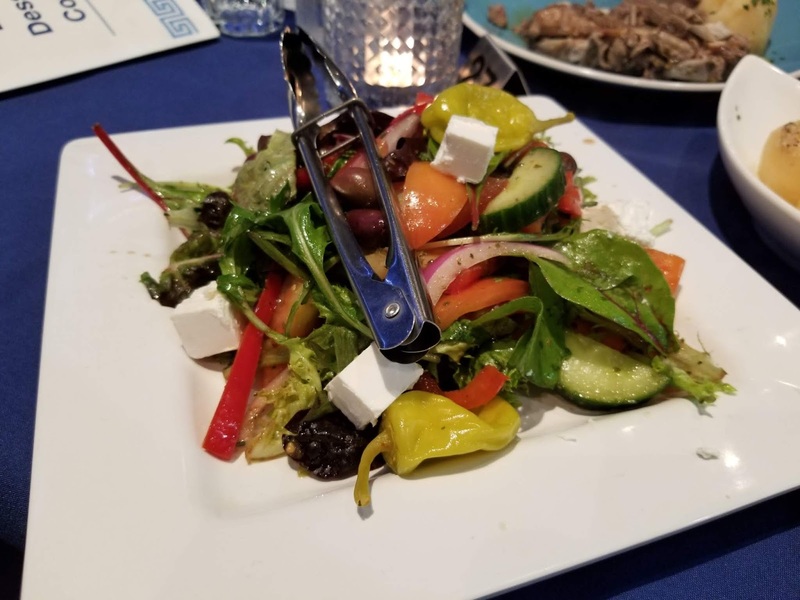 The salad was strong and sharp with feta and balsamic making it a nice contrast to cut through the heavy meaty flavours. 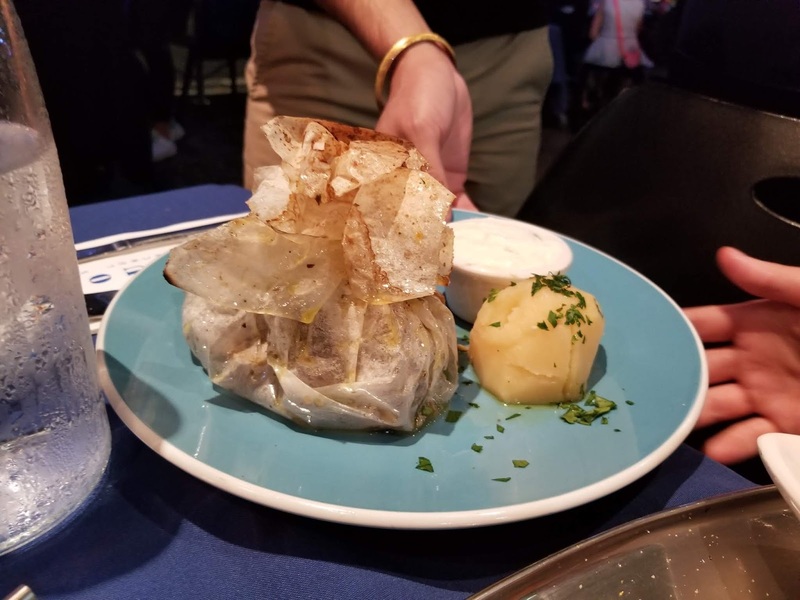 We also shared a dish of lamb kleftiko, a traditional dish of lamb cooked in parchment paper. 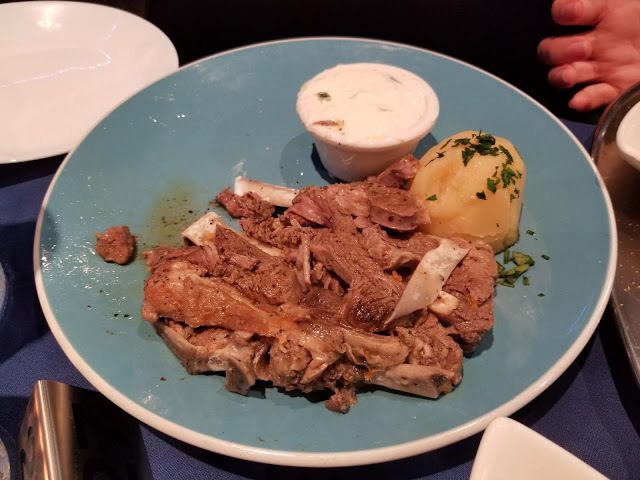 Cooked with garlic, lemon and olive oil, apparently the name originated from the Klephts who stole lambs and sheep and cooked the meat in underground ovens in order to seal away the flavours and smells without being caught. The parchment paper works to seal all the flavours and juices in, and the waiter only unwrapped the paper for us once it was served at the table. 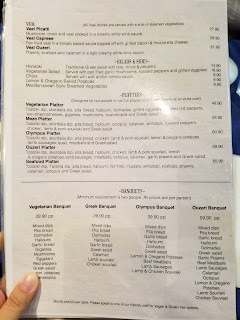 I quite enjoyed the lamb, which was tender, tangy and melted in my mouth. It was particularly enjoyable as the strong flavours of garlic and lemon didn't overpower the tastes of the lamb.